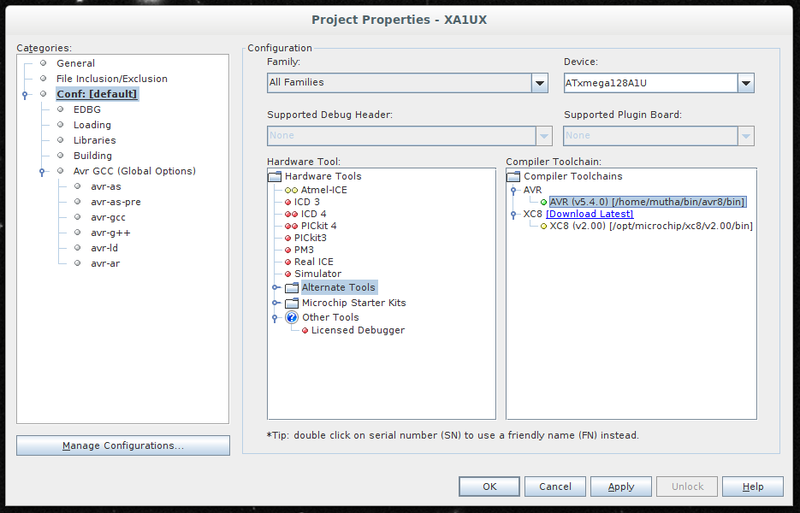 » AVR Development on Microchip's MPLAB X V5.00 setup for ubuntu? I've seen a video where they do it on MAC, but they say they already had AS7 installed so it kind of linked all together, (not my case at least as there is not a linux version of AS7). PD: I posted this forum discussion in this topic as I saw there where another ones talking about MPLAB X here. PD2: I posted this problem on AVR FREAKS because the microchip's forums can't send me the validation email, it seems to be a problem experienced by many other people. 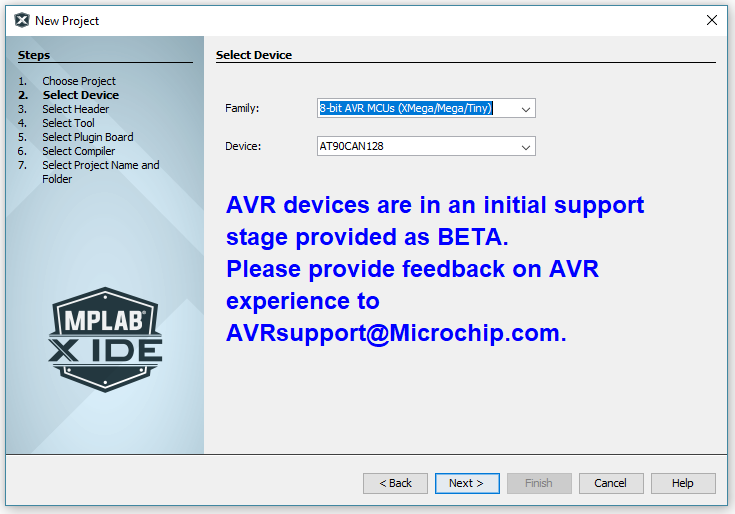 I don't think they've officially rolled out AVR support in MPLAB yet have they? So you may be a little ahead of the curve here. Maybe give it 3..6 months for the dust to settle? Copy-paste the full command line that the IDE invokes. Then we can see "what is missing"
I haven't had any issues running MPLAB X 5 on Ubuntu 18.
because MPLAB isn't finding it there. You have the choice of using the XC-8 compiler or the AVR Toolchain for AVR devices. What happens if you choose the XC-8 compiler? As David stated above, nothing is going to compile without including <avr/io.h>. Surely, the whole point of a beta programme is to get user feedback - so isn't there some specific route to give feedback on this stuff?? Yes - but perhaps the OP would like it a little clearer ... ?